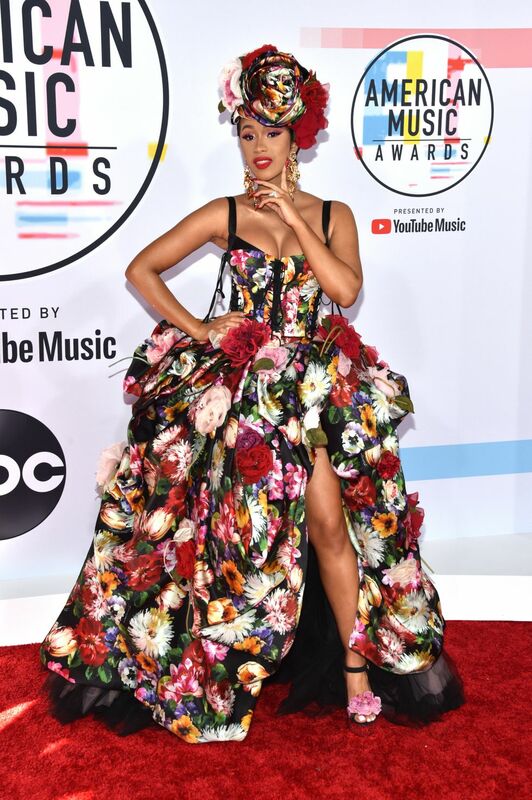 The dress, featuring a voluminous skirt and a corset bodice, was then finished off with bold red lips and heeled sandals adorned with a floral design. 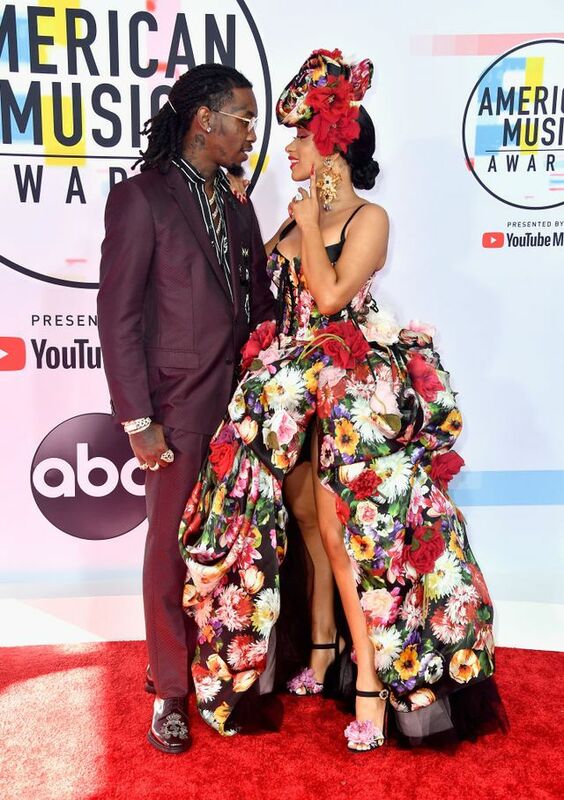 At one point, she struck a pose with husband Offset, who donned a purple suit with a stripe black undershirt. 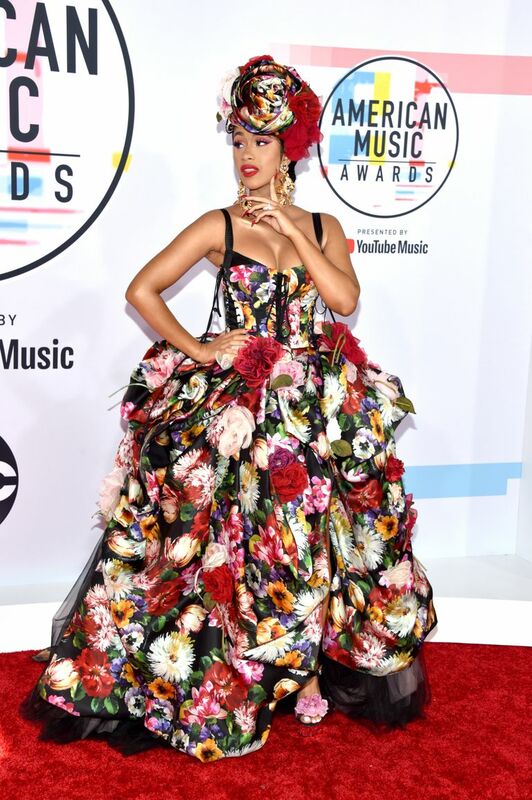 The colorful ensemble has got a real fairytale feel to it and what better place for it than on the red carpet. 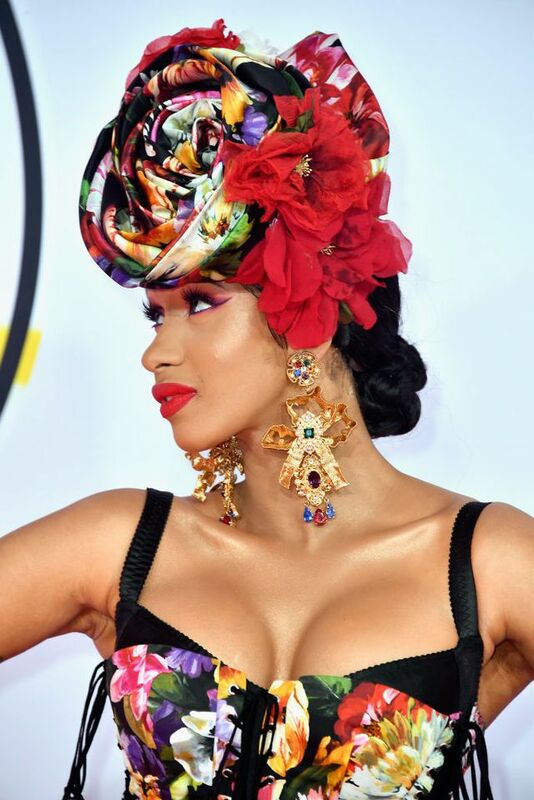 Just so you know, this was Cardi’s first AMAs and she was nominated for eight awards, including the best new artist.